Three bathrooms are en-suite. Two are open plan behind the bed. Three are separate and there’s the downstairs loo. Have a look at the plans and Sketchup model (which are all available as downloads from the Approved Proposal page). A chunk of bathroom notes on the rooms page. Single control arm mixer tap(s). Have heated mirrors connected to the lights over the mirrors. So that when these lights are on the heated pad removes / prevents condensation on the mirror. You can fit these to the back of mirrors. Put urinals in the main downstairs bathroom and all other bathrooms where possible? Waterless urinals can cut toilet water use down by 80% and diluting urine with water makes removing harmful chemical nutrients during sewage treatment less efficient. If bedrooms have no or limited windows, and are en-suite, then glass screen doors. Have towel radiators in the bathrooms. These could be elec and only run when the solar panels are delivering electricity or water heated. For the master and second bedrooms that’ll face the sea, look at the Scarlet Hotel bedroom layout. The Housebuilders Bible has bathroom design advice on page 291. 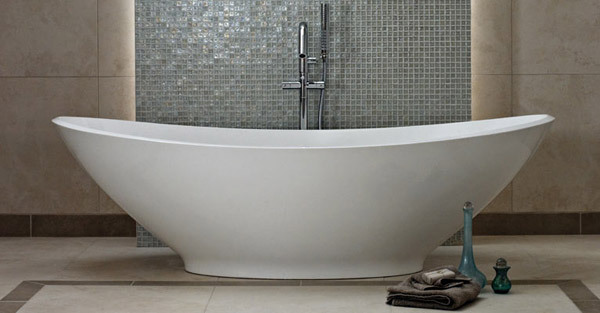 Have a look at these baths, price and style range. Chains like Plumbase might not have swanky showrooms, but they can get almost all top-end bathroom fixtures and fittings at competitive prices. Baths to have central tap and drain point. Put low LED light in en-suite bathrooms, so that you don’t need to turn the main light on and so disturb any partner if using the bathroom at night. Glass sheet and not tiles for the shower wall(s) – even for the outside shower? needs to be 100% sealed to prevent mould on the back. pre frost the back ? have so can take down to clean ? Mirrors to catch the views.